Watch 1 Minute Demo ! 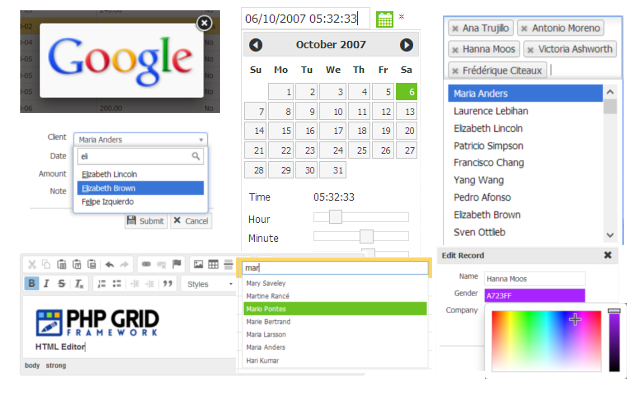 PHP Grid Framework with simple configuration enables CRUD (Add, Edit, Del), Searching (Auto-filter + Advanced), Sorting, Paging, Grouping, Import & Export, Master-Detail & Nested Subgrids, Multiple Databases connectivity, Premium themes (with Bootstrap4 compatibility) and many other features. Responsive & Mobile friendly Datagrid solution which is Easy to learn and comes with ready-to-use Datagrid examples. Best suitable for knowledge engineers, who wish to save development time & effort of creating repetitive CRUD functions through out their projects. Support SQL queries for cross table data displaying and Reporting generation. PHP Datagrid Framework is extendable and you can have your own PHP Callbacks for adding, updating or deleting operations for custom business cases and web services. Supports all major databases including MySql, SQL Server, Oracle, DB2, PgSql & ODBC Driver supported databases. Complete Datagrid solution with Import & Export features. Try Free Version with basic essential features! You can enable automatic data editing for your PHP Grid, specifying appropriate database table. Additionally, you can use the extensive event handlers to handle the CRUD operations in a custom manner. In-cell, inline and popup editing are supported. You can also enable bulk editing to update multiple records after selection. Quickly create an N-level Hierarchical Grid by specifying detail grids. Along with that non hierarchical Master-Detail Grids (n-level) are also supported. 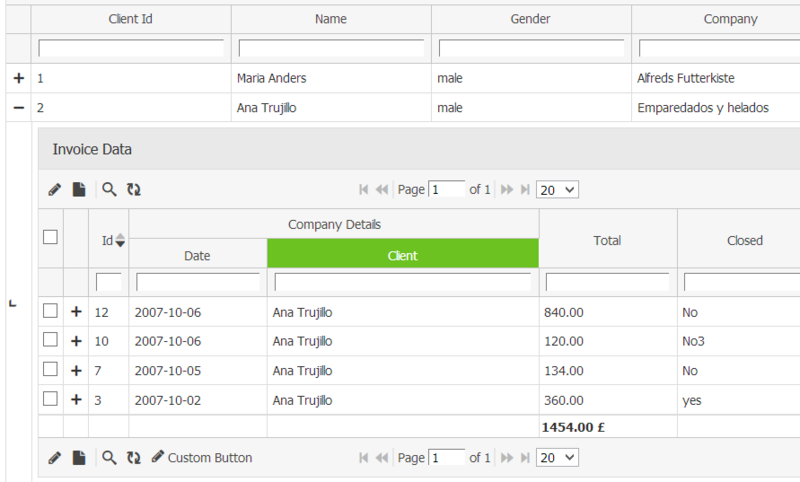 You can also have custom template page as detail showing record details in your manner. One of the strongest feature is to integrate 3rd party jQuery plugins for data entry and display, such as Autocomplete, Select2, CKeditor, Date-time picker, FancyBox, Input Mask and many others. 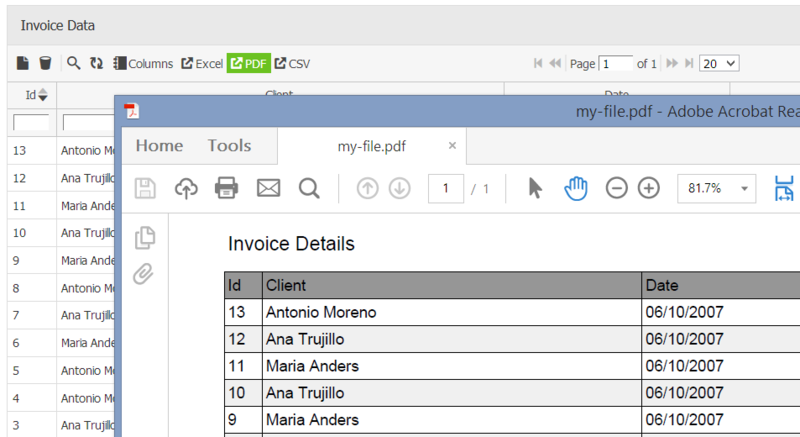 Export the content of the grid control into PDF, CSV and Excel. Customize the look and feel of the exported file to match the user requirements using your custom code. Use a single change to apply any of the 34 ready-to-use built-in themes, including an innovative mobile skin, to create a consistent look for your apps and save design and front-end development time. You can also customize existing skins or create your own with jQueryUI's Themeroller. 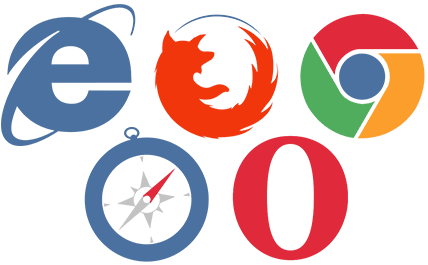 Using the PHP Grid, you can be certain that your app will look and behave as expected across all modern browsers. Include PHP Grid Framework & Initialize Object. 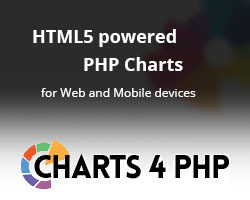 Display at desired place in HTML. Excited? Get inspired by our features tour and read the comprehensive, in-depth documentation, howtos with ready-to-use examples. Any questions? Get in touch with our Support. 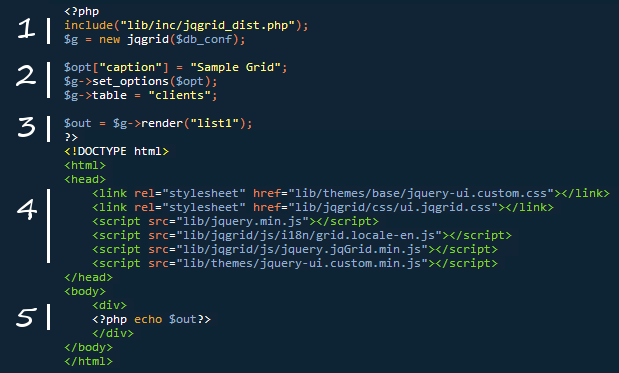 PHP Grid Framework, Datagrid Made Easy! Try Free Version with basic essential features.